I am so very intrugued by the idea of artworks with a singular color. The trick is to make a work of art that is not ordinary - not just one note played on the piano. 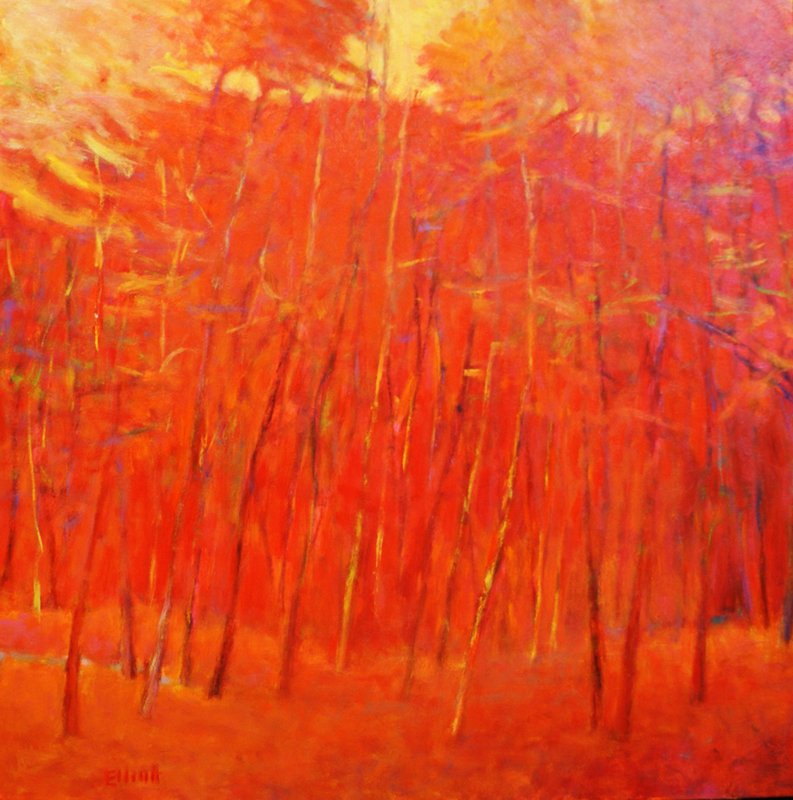 To make the reds sing in this 36x36 canvas it takes different reds and other colors in play all across the canvas. It looks so very simple, but it is the result of hundreds of marks, reworks, dead ends, chance and risks. It was a pleasure to have it on the easel day after day in conversation. It was also fun to load up the brush with a hot red and load it on the canvas like icing a cake. You are at your best, Ken. Wow. Thank you Casey! I'm always saying the same about your works. I'm really looking forward to seeing you here in Denver at your May workshop.